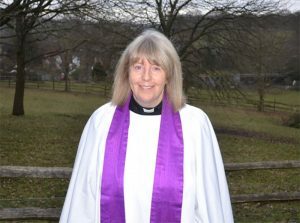 My name is Julie Sear and I have been Rector of these parishes since 2013. I am married to Trevor and we have two sons who are married and we have three Grandchildren and one due in the summer. Here at St Mary’s where people have encountered God’s love in Jesus for 800 years. We are a community of people on a journey together, committed to loving God and loving Community in all that we do. We express our love for God in a rich variety of worship – from the beauty and rich tradition of Anglican liturgy and music to the informality of our ‘Morning Praise’. We seek to show our love for our community throughout the week in a range of activities and events, and through working in partnership with others. We find support for our life’s journey through opportunities to meet for prayer, learning and friendship tailored to different ages and needs. We also work very closely with St Mary the Virgin School. We welcome all ages. We have Sunday Discoverers for our 4-9 years & Big Breakfast for our 10years upwards. We also have WAFFLE that is our midweek supper and bible study for age 11-15 year olds.